I’m not superstitious by any means, but 13 has always been my “lucky” number and because of this, I sort of had high hopes going into 2013. Today, on the year’s official halfway mark, I can gratefully say that it has not disappointed thus far. It’s been a whirlwind year full of changes in almost every aspect, and truthfully hasn’t been the most comfortable sometimes, but there has been plenty of laughter, amazing opportunity, and most importantly, growth. At the risk of sounding completely cliché, here’s to making the most of the second half of 2013! Word on the street is that starting today, Google Friend Connect is no more – if you’ve been using it and would like to stay updated, feel free to follow on bloglovin here. I cannot get over how adorable your hair is- loving those fringe bangs! Those pops of yellow are gorgeous and perfect for this summer weather we’ve been finally having! That dress is beautiful and the pop of yellow makes it even more perfect. Amazing!! Love the colors in this outfit! Looks fabulous! amazing outfit, love the heels and the dress! 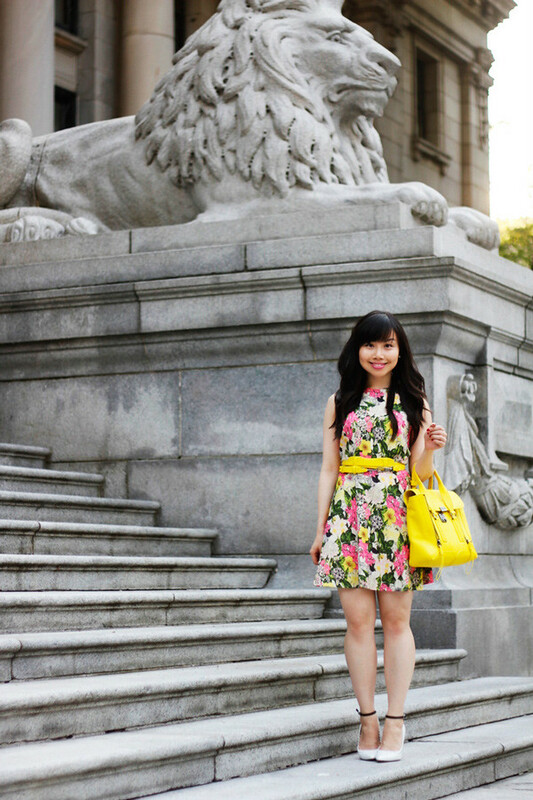 What a bright and fun outfit, the dress is especially gorgeous! Change comes with life and we all have our ups and downs. I guess it’s a part of growing up. Hope the second half of 2013 will be better than ever! That’s such an adorable outfit! Love the Phillip Lim bag. The belt was such a great idea! 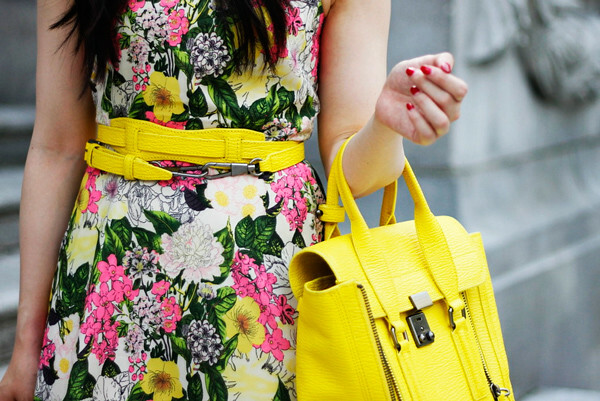 The floral print on your dress is gorgeous and you’re a genius for using your bag strap as a belt! 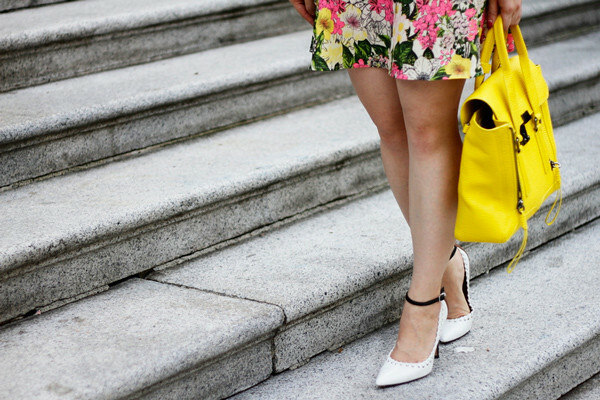 I never would have thought that a sunny yellow bag could be so versatile but it’s really proven to be such a perfect piece that makes your outfits pop. This might be my favourite outfit of yours. The floral print, the shoes, that belt! Perfect. According to the latest details of the U. s. Empire, the UK’s greatest individual action manufacturer and provider Jagex has officially launched its well-known real-time technique action “War of the stars,” the latest update: “ill-Mountain”. It is determined that the update includes many new features, more issues and a wide range of support spot, I believe that RS Gold will provide gamers more vibrant, more exciting action encounter. I love that you bought an investment bag in a bright color. It’s so much more fun than black!